As the days get cooler, we find that we are inside more. For my daughter, this means more time to draw and paint. She's quite prolific... most of our young artists are. What do you do with the multitude of masterpieces that your children create? We constructed a simple and fun way to store her work, while having a rotating display all at once. Recently, she's spending a bit of time at her writing desk. A new art display and storage box hangs proudly above it. If you hop over to Bloesem Kids, I've written up the instructions so that you can "build" one, too. Maybe you'll make several and install a gallery for your family. All materials are probably in your cupboards and recycling bin. Happy Friday! Happy making! For instructions at Bloesem Kids click here. p.s. 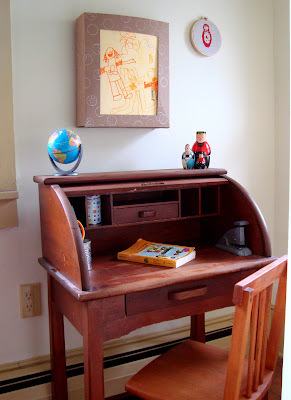 I found that little roll top desk for my son when he was four... after a brief stint in the attic, he gave it to his little sister when she turned four. We love traditions. I've been hard at work getting ready for a MASSIVE shop update on Monday. I'm so excited to bring back favorites, like my coffee sack cork boards and buckets with typography. I'll have a little selection of linen, burlap, and organic pillow slipcovers. A few lovely surprises, too! wow!you've solved my life with this idea!! the thing is what to do when the art box is full! my idea is to put all the drawings together, (i'm trying really hard to put my words in english!! )place them under a nice cover and have it made into a file, or have them bound, i don't know the word , is a sort of ring thing,like some agendas have; in spanish is "anillar" It is a nice way to keep them even if there are many of them, and it is a nice gift for relatives and friends. well, i hope you get my idea!! i'll post a pic if you dont! Oh! 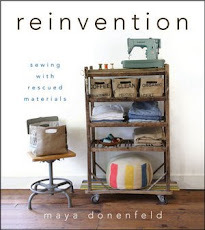 Maya this is just perfection and how did you know I have been looking for just such a thing? :) Also, my little one has a desk just like this! I love it! Great craft, too! 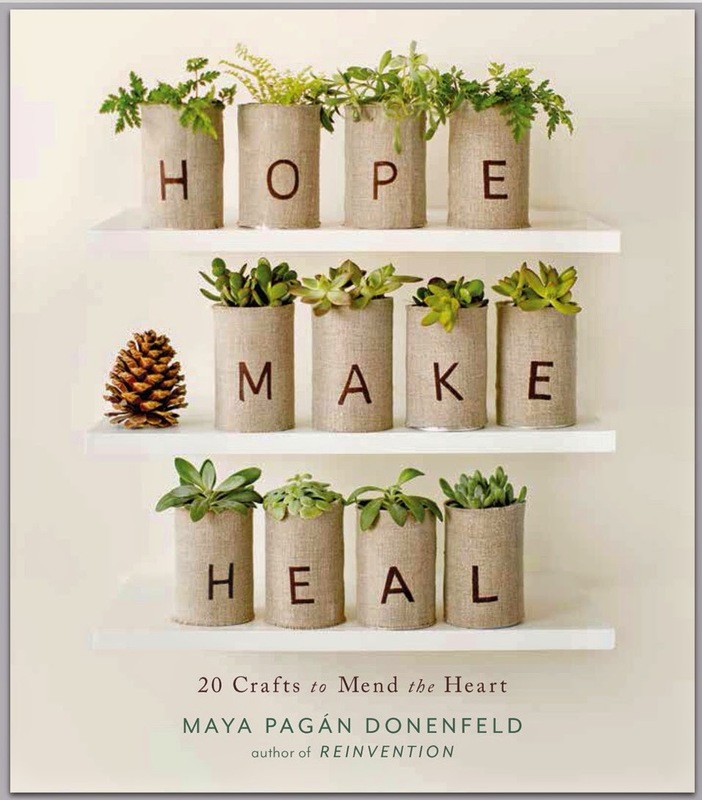 I'm definately going to do this...Thank you for the inspiration, as always, Maya. Lovey the desk and the art box display. Thanks! Yay! Can't wait to see the massive shop update! Love this box idea and will make some for grandkids art! Cherrio cereal boxes do it for me. love the box. what sweet kids you have too. you are everywhere i go these days. You have such clever practical ideas!! I would love to look around in your brain for a day!! This is so brilliant! I commented over on the collective blog and then followed you here. I will use this for a dozen things that I can think of so far, and who knows how many others. I print out recipes from the internet all the time and then "file" them away never to be seen again. I will make one of these for the kitchen, using some kind of clear plastic inside to protect the recipe, so that I can both keep all the printouts in one place and then have a holder for the one I'm making, protected from splashes. And in my sewing room, it will be a place to put all the photos I print out or tear out of magazines as inspirations, or sketches I've made . . . I don't know why I haven't already subscribed to your blog, now that I realize who you are. I have made MANY fabric buckets from your pattern, and with practice have now figured out how to make them in any size. They are a big hit around my household! This is great Maya. I have been searching for an easy and inexpensive way to showcase all the art that my kids are making. What a great idea! That is so much neater than on the frige where things tend to get ripped or spilled on eventually. I'm going to make 2! I love traditions too! Sometimes they are hard to keep up, though. My mom buys me a tree ornament every holiday season. I enjoyed reading your work! GREAT post! I looked around for this… but I found you! Anyway, would you mind if I threw up a backlink from my site? Please come visit my site Find Business Kansas City when you got time. I am not really sure if best practices have emerged around things like that, but I am sure that your great job is clearly identifed. I was wondering if you offer any subscription to your RSS feeds as I would be very interested and can't find any link to subscribe here Please come visit my site Denver Colorado CO when you got time. Thanks. I am not really sure if best practices have emerged around things like that, but I am sure that your great job is clearly identifed. I was wondering if you offer any subscription to your RSS feeds as I would be very interested and can't find any link to subscribe here Please come visit my site Business Directory Listings Of Colorado Springs Colorado CO when you got time. Thanks.